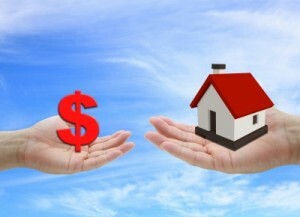 If you are planning on buying your first home in Fishers, IN you will need a down payment. Generally to get the best rate you will need approximately 20 percent to put down towards your new Fishers, IN home. Wondering how you will build up that savings? Feeling a bit overwhelmed? The biggest change you can make toward your savings is to downsize where you are living now. Whether that is a smaller/cheaper rental or moving in with family for a set period of time, either will allow significant monthly savings which can then be applied towards your savings. If possible sell your car and use IndyGo instead. Neither of these are desirable changes, but, they will give you the biggest boost in savings each month. Budgeting is another tried and true method of saving money. Write out all of your monthly expenses or use an online program like Mint to help you plan an appropriate budget. Scale back on all of the unnecessary items and make monthly payments to your savings instead. Skip luxuries like gourmet coffee and cable and look for cheaper alternatives. These seem like small steps but they add up in the end to big savings. Make sure to keep your down payment in a separate account, preferably not linked to your regular account, this will keep you from dipping into that savings. Low risk investments like a CD or a high-yield savings account are good options as long as you are able to get to the money in time for when you will purchase.